Native to Argentina. A large fast growing fountain of saw-toothed, light green, grassy leaves. Plumes are 1' to 3' long and appear in late summer. Very showy and large. Makes an excellent screen, windbreak or use as a dramatic focal point. Needs ample space. 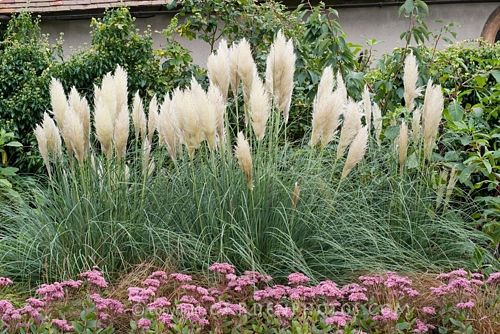 A very large and showy ornamental grass.